The 17th Infantry Regiment has a long tradition, reaching back to the second half of the 17th century. It was established in 1674 in Bohemia and was one of the oldest regiments in the Habsburg Monarchy. Its history is closely linked to Kranjska (Carniola), where the regiment drafted new members from 1817 onwards and to Ljubljana, where its headquarters were. The territorial principle of mobilization and military service thus transformed it into a local, Kranjska regiment. Its military duties included various locations in the Apennine peninsula and in Dalmatia. In 1848 and 1849 it fought in Italy and Hungary. It took part in the Battle of Solferino in June, 1859, and in 1866 in the Battle of Custozza. 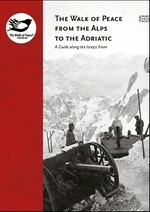 Its military path in Bosnia in Herzegovina, where it played an important role in the conquest of the land, was in 1878 chronicled by Jernej Andrejka. The regiment’s day, 7 August, was chosen because of the Battle of Jajce. 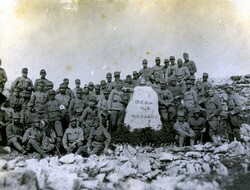 The name of the regiment is linked to the fights in Livno and the construction of the road from Polog to Livno. 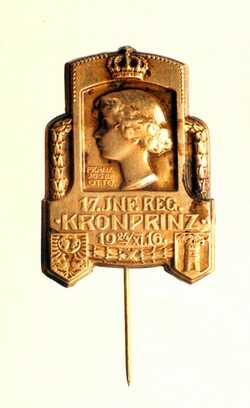 In 1893, three battalions moved to Klagenfurt, the headquarters of the first battalion remained in Ljubljana. 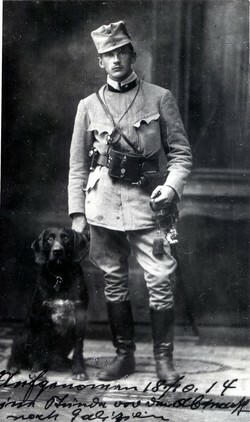 The general public called the battalion the ‘Carniolan Johns (Kranjski Janezi)’, as most of its members were Slovenians. The patron of the regiment was first Ritter von Milde and in November 1916, the patron became Otto von Habsburg, son of the last Habsburg emperor, Karl. Because of him, the regiment and its soldiers were also called ‘Imperials’. In the First World War, the Regiment fought on the Russian front – Eastern front and the front towards Italy - the Isonzo (Soča) and Tyrol Fronts, from Doberdob in the Kras (Karst) to Monte Chiesa. On 12 August 1914, the regiment was transported to the Russian battlefields and their baptism of fire was on 26 August 1914 in Galicia, at Majdan Gologorski. It took part in many battles on the eastern front, suffering heavy casualties. The regiment retreated to the Dukla Pass in the Carpathian Mountains. 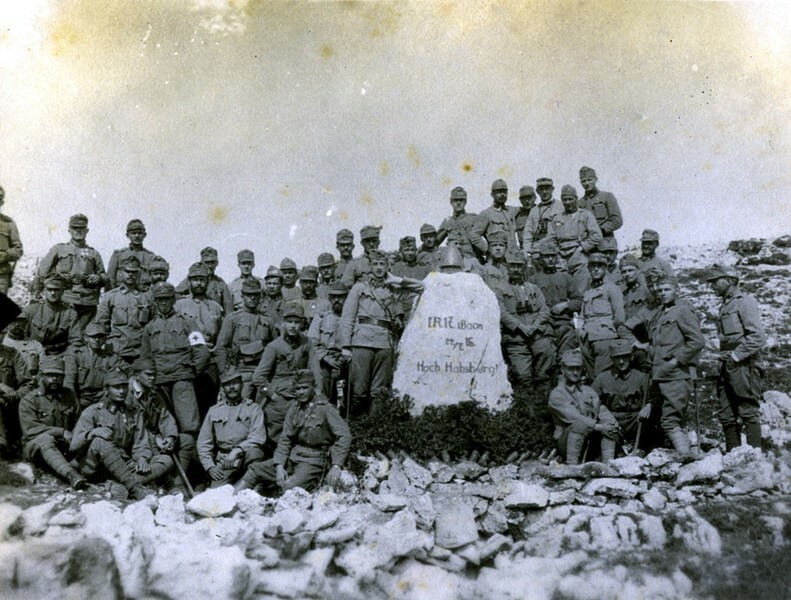 In October 1915, it was transferred to the Isonzo Front, where it joined the 10th Infantry Battalion, which defended the Doberdob positions even since the first Italian attack in May 1915. It was positioned before Podgora and Oslavje. In March 1916, they were moved to the Tyrol battlefields and joined the Great Tyrol Spring Offensive. Monte Chiesa, close to the area, still called the Valley of Slovenians, and Ortigara, Asiago, Monte Val Bella and the valley Asse are areas where the regiment was entrenched until the end of the War. In the last year of the War, on 12 May, the soldiers of the replacement battalions of the regiment, staying in Judenburg, rebelled because of the bad conditions. In 1918, the Regiment took part in the failed Austro-Hungarian June Offensive in Piava and at the end of the war the soldiers became prisoners of war of Italians; many returned only in 1919. In the 17th Infantry Regiment, numerous famous Slovenians served as soldiers and officers. Many never managed to return home and are buried in various military cemeteries. With the dissolution of the Austro-Hungarian Monarchy, the memory of the regiment, its famous past and the fate of Slovenian soldiers, making up almost 82 % of the regiment, was fading into obscurity. Today the memories are returning into public consciousness and are deservedly placing the regiment into the heart of the Slovenian military, war and cultural history.